Whether you're planning a trip to the library or looking to expand your personal bookshelf, picking up some of the famous kids books is a wonderful idea. The best children's picture books listed in this article are sure to bring hours of reading enjoyment. Cloudy With a Chance of Meatballs by Judi Barrett is memorable for its inventive premise - what if instead of experiencing normal weather conditions like rain and snow, a town faced food falling from the sky every day? Where the Wild Things Are by Maurice Sendak sends Max on an imaginative journey through a forest of "Wild Things" after he behaves badly and is sent to his room without supper. The book won the 1964 Caldecott Medal and has remained so popular over the decades that a 2009 film adaptation is in the works. Harold and the Purple Crayon by Crockett Johnson follows Harold as he draws his own world with the help of the purple crayon. 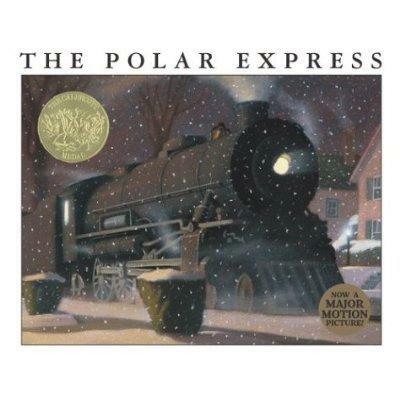 The Polar Express by Chris Van Allsburg takes readers on a magical journey aboard the train to the North Pole. The 1986 Caldecott Medal winner, it is a popular Christmas tale about the joys of believing in Santa Claus. The Stinky Cheese Man and Other Fairly Stupid Tales by Jon Scieszka turns classic fairy tales upside down and inside out. The Ugly Ducking becomes the Ugly Duckling instead of a beautiful swan, the prince in "The Princess and the Pea" finds a way to get past the pea under the mattress, and characters interrupt other stories, demanding the reader's attention. Corduroy by Don Freeman features a lovable teddy bear that shows readers the joy that a stuffed companion can bring to a child's life. Curious George by H. A. Rey and its sequels have entertained young children for decades with the adventures of a trouble-making monkey and his human companion, The Man with the Yellow Hat. Olivia by Ian Falconer tells the story of an exuberant young pig with striking black, white and red illustrations. The Tale of Peter Rabbit by Beatrix Potter is one of many popular titles from the author. Peter Rabbit is a mischievous bunny who gets in trouble in Mr. McGregor's garden. The illustrations of Peter and his world add to the book's charm. The Poky Little Puppy by Janette Sebring Lowrey and Gustaf Tenggren is a classic Little Golden Book about a puppy who earns treats for staying behind at first, but then learns the importance of sticking with his brothers and sisters. In 2001, Publishers Weekly estimated that close to 15 million copies of the book had been purchased over the years, making it the best-selling hardcover children's book of all time. If You Give a Mouse a Cookie by Laura Joffe Numeroff and Felicia Bond includes cute mouse drawings that kids love. However, it's the building narrative structure, describing what the mouse will want next if you give him something, that really draws in readers. The Story of Babar by Jean De Brunhoff introduces readers to The King of the Elephants. The Babar series is famous in both its native France and the United States. Love You Forever by Robert Munsch and Sheila McGraw is a testament to a mother's love, showing her affection for her son throughout the years. Madeline by Ludwig Bemelmans introduced the world to an unforgettable little girl from France. Goodnight Moon by Margaret Wise Brown and Clement Hurd offers a perfect bedtime story. Several generations of children have fallen asleep to the sounds of a little rabbit saying goodnight to all of the objects he sees in his room. No list of famous kids books would be complete without mentioning Dr. Seuss. However, he was such a popular and prolific picture book author that it is difficult to pinpoint a single title as his most famous. These three titles entice kids with their inventive wordplay and illustrations while Oh, The Places You'll Go! is a popular choice for young graduates.